Vista Hill is a large hill that is connected by a long bridge to Bowser's Keep. 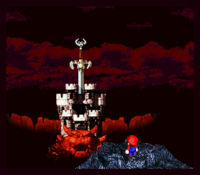 However, during the events of Super Mario RPG: Legend of the Seven Stars, the gigantic sword Exor destroyed the bridge, preventing any access to the castle by land. Mario's Pad is to the east of Vista Hill. 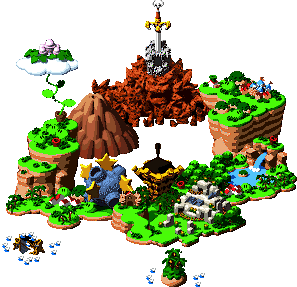 There is an area in Mario & Luigi: Bowser's Inside Story and Mario & Luigi: Bowser's Inside Story + Bowser Jr.'s Journey that also allows a view of Bowser's castle from a distance. It is not referred to by name, however. This page was last edited on January 20, 2019, at 17:46.